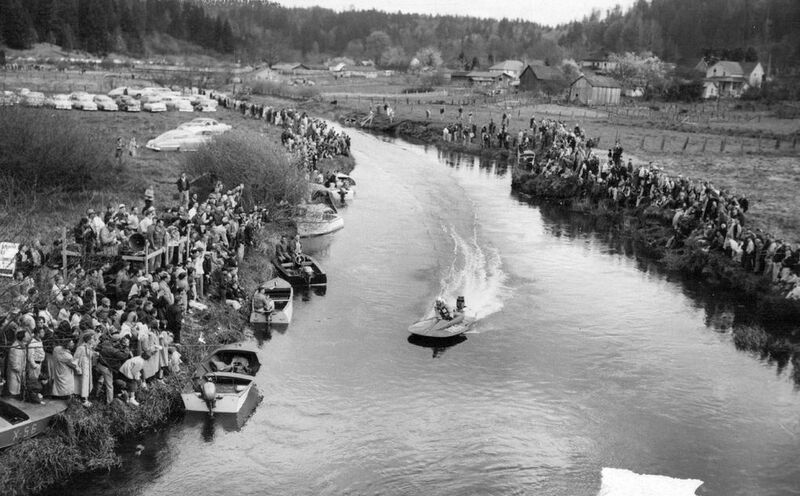 Not all the racers who started would finish the 13-mile course to Lake Sammamish. 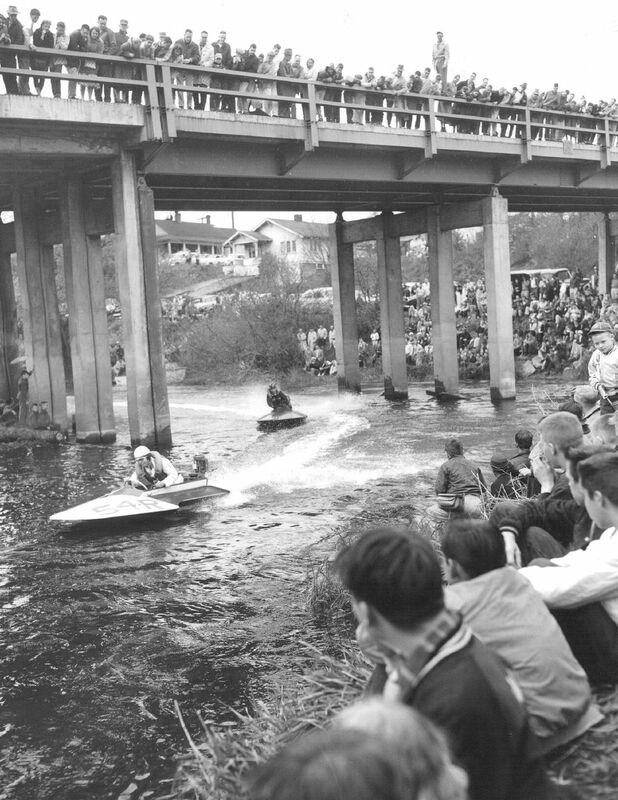 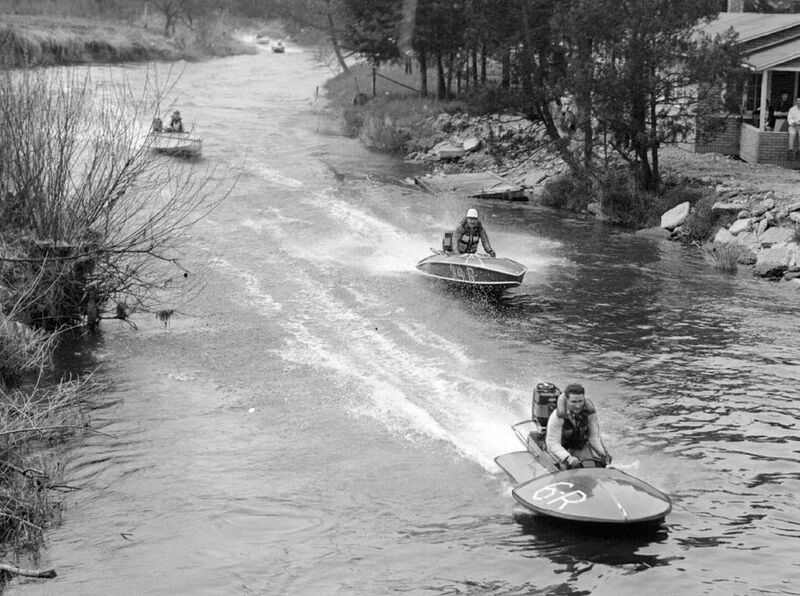 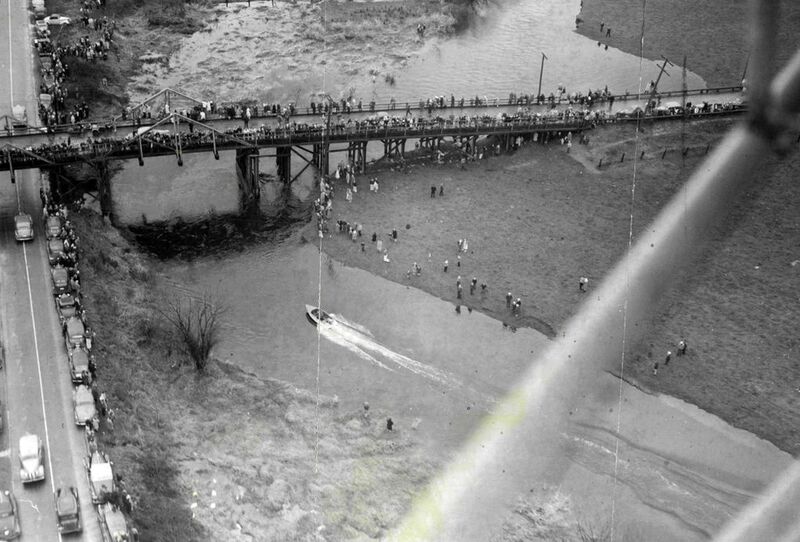 For more than four decades boat racers wound their way down sharp bends, avoided bridge pilings and logs, and sped past banks filled with onlookers as they competed in an annual tradition. 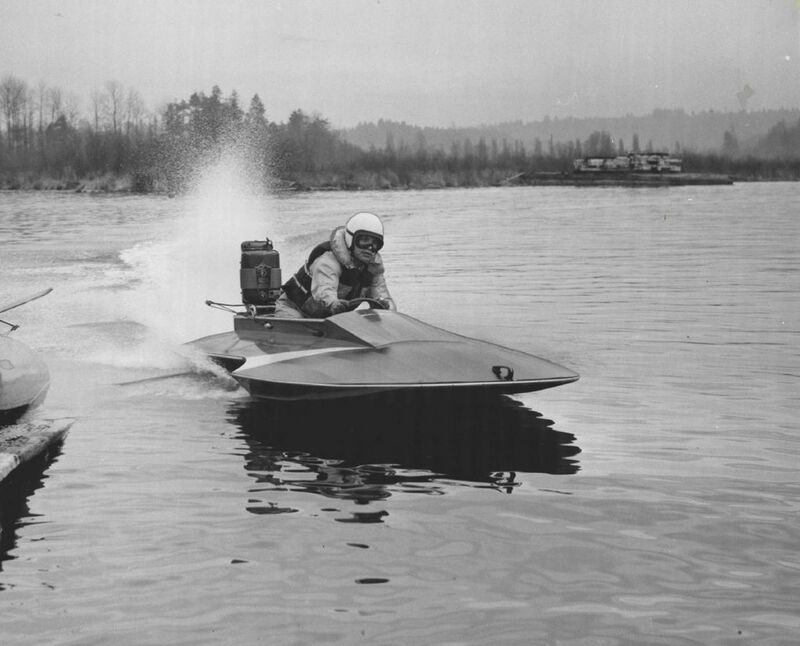 The Sammamish Slough Race was run by the Seattle Outboard Association from 1933 to 1976. 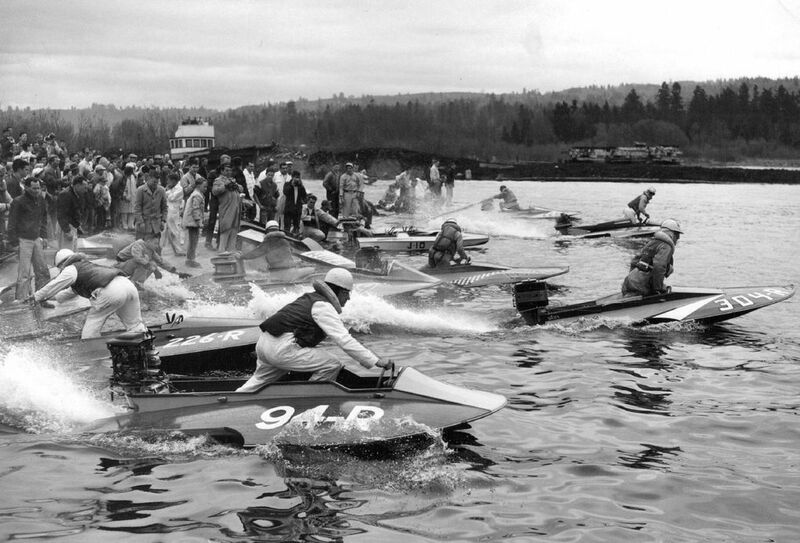 Sixty-three turns awaited the racers along the 13-mile course from Lake Washington to Lake Sammamish. 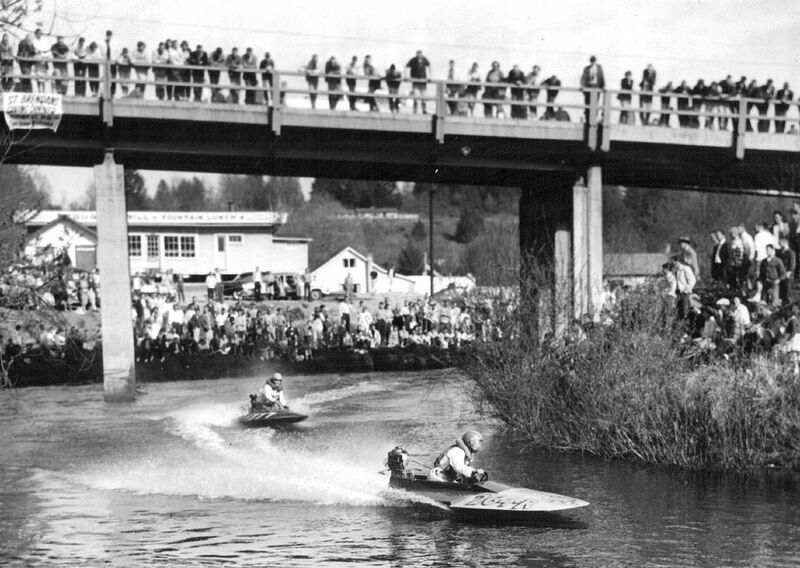 Thousands would crowd the banks of the slough to watch the races, according to the Redmond Historical Society. 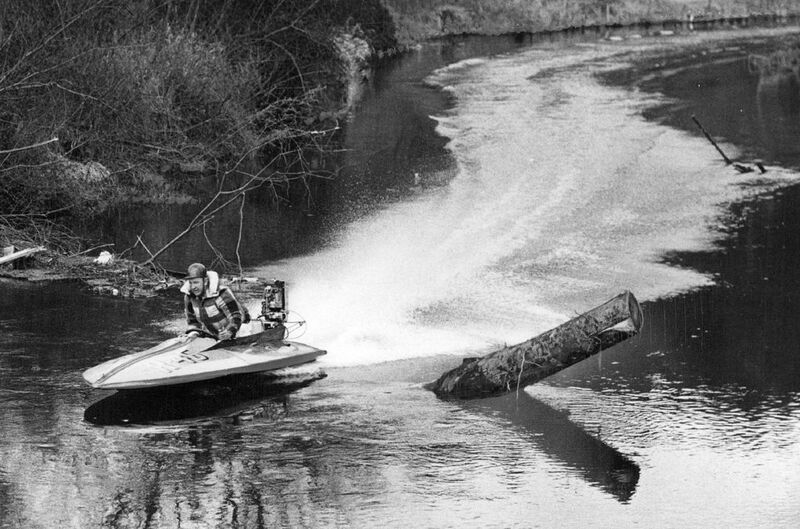 Accidents along the course were common. 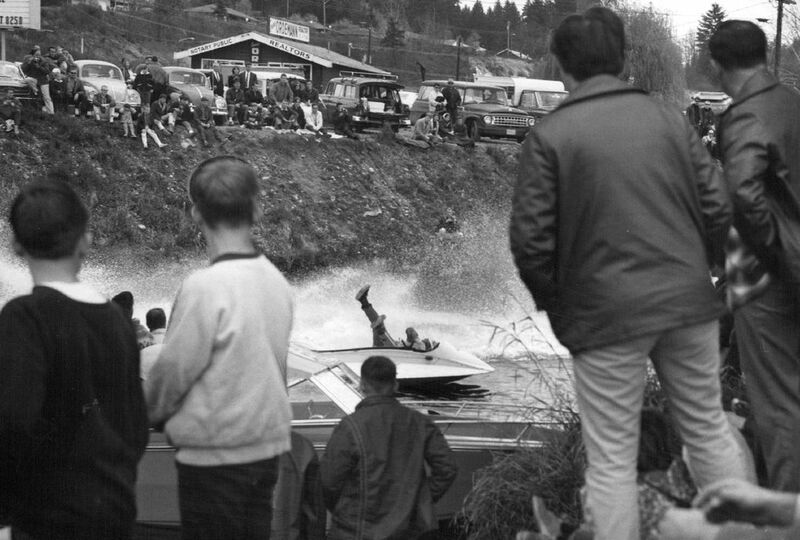 A March 31, 1947, Seattle Times story described the perils that Al Benson had to go through to win that year’s race. 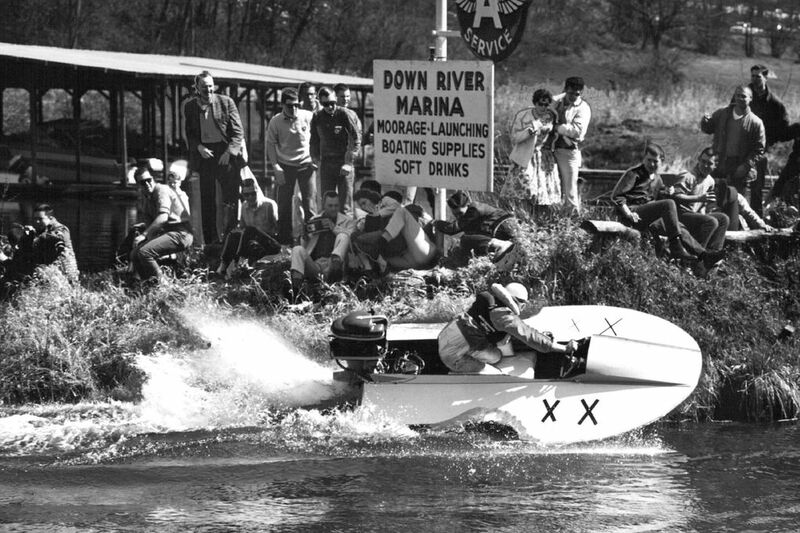 Twenty boats started the race that year, with only 12 finishing. 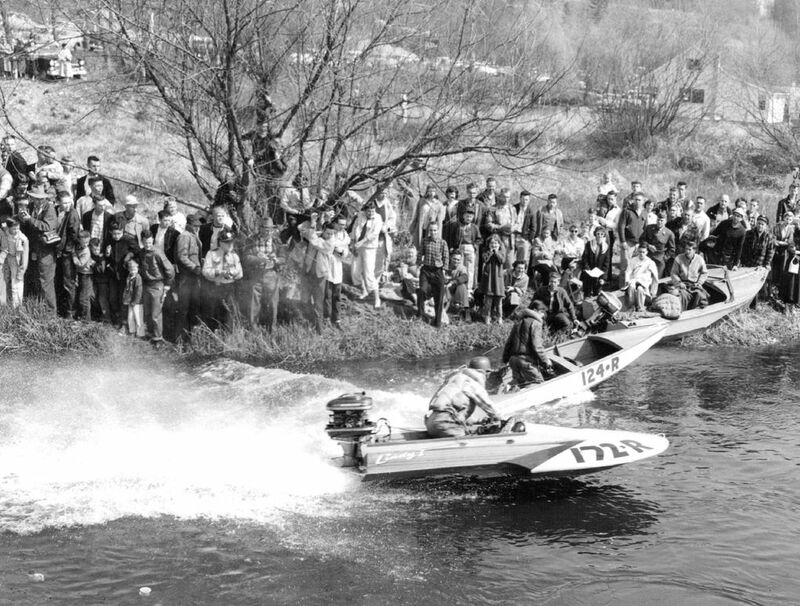 A March 10, 1977, Times article said an accident in the 1976 race where a boat went out of control and hit a spectator contributed the loss of insurance for the race. 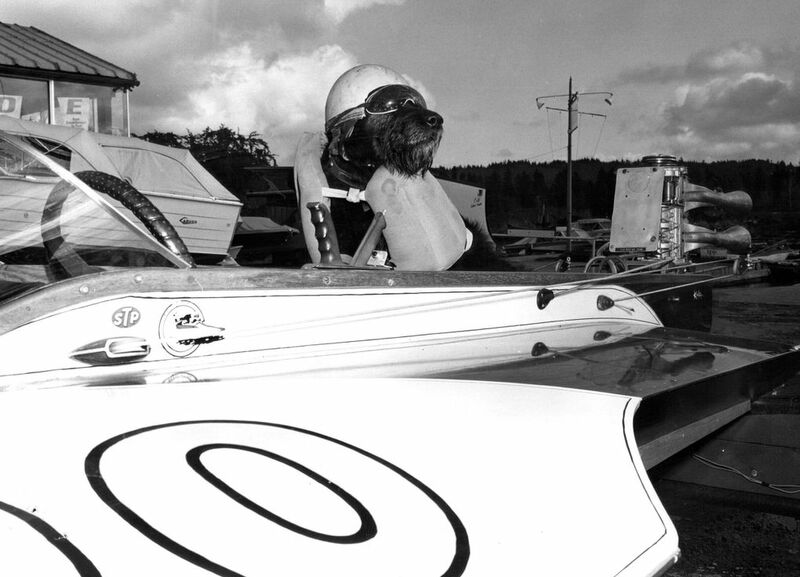 As a result the race was dropped off the schedule of the outboard-racing season. 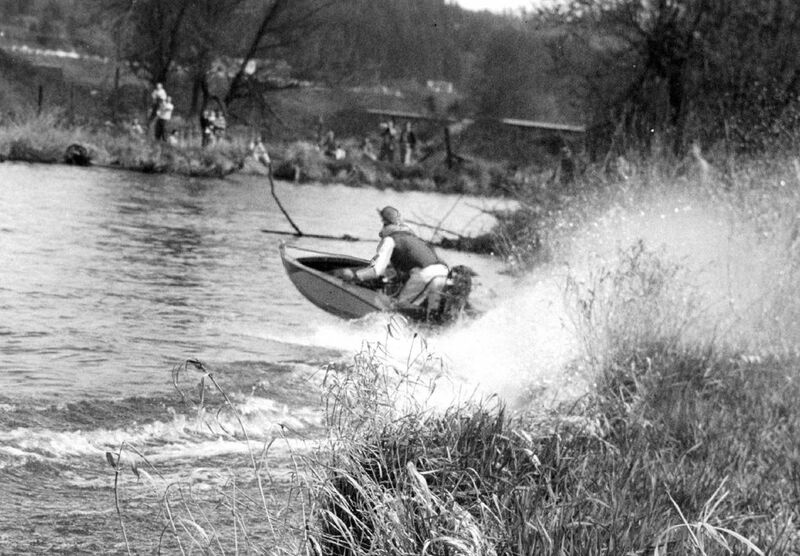 This video from a newsreel shows what the course looked like in 1948.